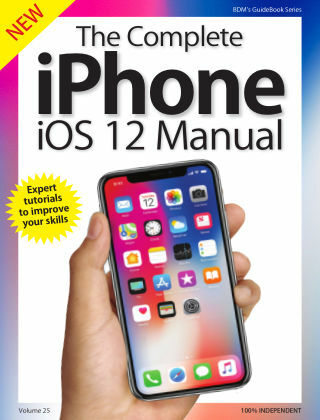 With Readly you can read iOS 12 on iPhone Complete Manual and thousands of other magazines on your tablet and smartphone. Get access to all with just one subscription. New releases and back issues – all included. Packed with easy-to-follow guides for your iPhone and iOS 11. The iPhone and iOS have had a major upgrade. The amazing iOS, iPhone 8 and iPhone X are here, right here! 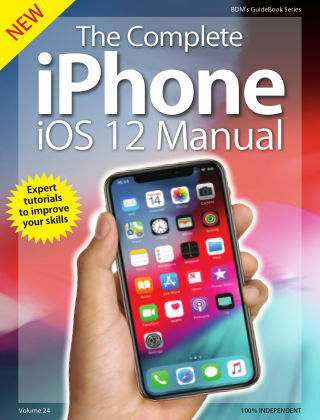 The iPhone GuideBook brings you the very latest fully illustrated guides to the iPhone, its apps and the new iOS update operating system. All the best features of the iOS and the iPhone are broken down and clearly explained by our team of experts, we show you how to master your iPhone with ease. 100% unofficial.